EVANSTON, Ill. — When a RAS gene operates normally, it acts as an on/off switch for cell signaling to control cell proliferation. But when the gene mutates, the switch jams into the "on" position, allowing cells to proliferate uncontrollably. This unstoppable cascade inevitably leads to cancer. "The mutation in the gene is very common in pancreatic and colon cancer," said Neil Kelleher, the Walter and Mary Elizabeth Glass Professor of Chemistry, Molecular Biosciences and Medicine at Northwestern University. "But there are currently no drugs that can target the mutation and fix the broken switch." Now Kelleher's team has gathered insights that could potentially lead to new treatments for this historically "undruggable" target. An expert in proteins and director of Northwestern's Proteomics Center of Excellence, Kelleher has developed a new technology that can — in precise detail — detect and quantify the effect of RAS mutations on RAS proteins. Responsible for the signaling that controls cell growth and death, these proteins have been directly implicated in promoting tumor formation and cancer progression. Understanding how RAS proteins function in cancer could lead to much-needed avenues for treatment. The findings from Northwestern's proteomics team were presented in the paper "Precise characterization of KRAS4b proteoforms in human colorectal cells and tumors reveals mutation/modification cross-talk," which was published April 2 in the Proceedings of the National Academy of Sciences. Discovered in 1982, the RAS gene family, which includes KRAS, HRAS and NRAS, are the first cancer genes ever pinpointed in human cancer cells. But despite the passing of 36 years and a motivated effort to understand the gene, researchers have made little progress in developing cancer treatments that target it. According to the National Cancer Institute, the RAS family accounts for 30 percent of all human cancers, including 95 percent of pancreatic and 45 percent of colorectal cancers. Even worse: Cancers related to RAS genes have been notoriously difficult to treat because typical chemotherapy and radiation strategies are largely ineffective. "Having a mutation in the RAS gene is bad news," said Caroline DeHart, a research assistant professor in Kelleher's laboratory, who served as the study's co-first author with Luca Fornelli and Ioanna Ntai. "Once it fires up the proteins that kick-start proliferation, it's nearly impossible to stop." In the past few years, research institutions have increased efforts to understand this family of genes and the proteins they produce. The National Cancer Institute, for example, established its RAS Initiative in 2013 to explore and develop effective approaches to attack the proteins encoded by mutated RAS genes. Researchers typically have examined RAS proteins by cutting them up and analyzing the pieces. While inexpensive, this approach is not without limitations. "In order to understand what you're looking at, you eventually have to stitch the pieces back together," DeHart said. "This makes highly similar proteins like those in the RAS family exceptionally difficult to characterize with any degree of confidence." This is where Kelleher's novel technique has a profound advantage. His laboratory employs "top-down proteomics," which uses mass spectrometry to analyze proteins while they are still fully intact. His team applied this method, for the first time, to KRAS's biology and provided complete molecular specificity for a normal and mutated protein form called KRAS4b, which was isolated from colorectal cancer cell lines and patient tumor samples. Kelleher's team then measured how much KRAS4b was present in the samples and determined how the protein changed in cancer compared to healthy tissues. During the course of this work, they also discovered 11 protein forms, or "proteoforms," of KRAS4b and measured them in six patient samples. "Put simply, we can get more information by examining the intact proteins," said Kelleher, who coined the now-accepted term "proteoforms" with a collaborator in 2013. 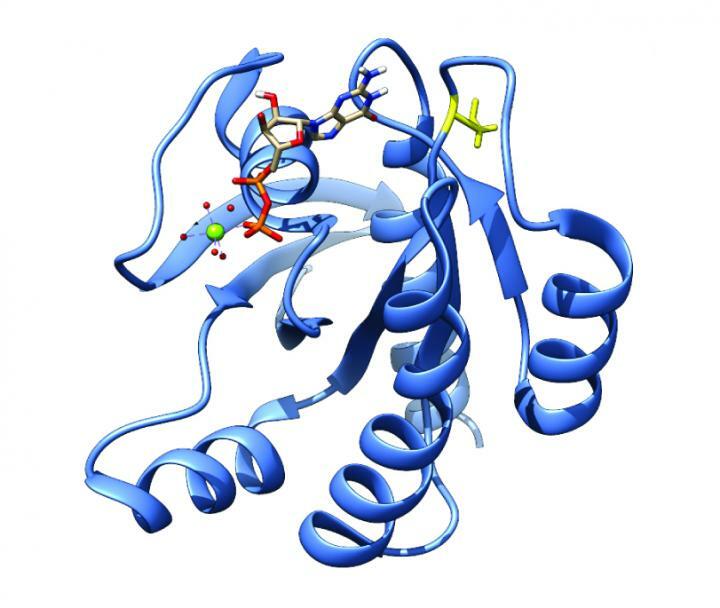 "We can understand how the KRAS4b proteoform looks in different cancers and are applying the same 'top-down' strategy to other key proteins in cancer. New knowledge often leads to new opportunities in advancing our battle against cancer." This work was completed in partnership with the RAS Initiative and supported by the National Cancer Institute, National Institutes of Health (award number HHSN261200800001E) and Paul G. Allen Family Foundation Grant Award 11715.